Get the right planter within 3 clicks. 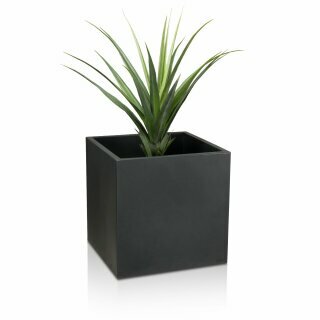 Our plant pot finders enables you to easily choose the right planter from our wide selection. Just select your favoured shape and/or colour. Afterwards the number of matches is shown below. Just click the button to show a list of all results. 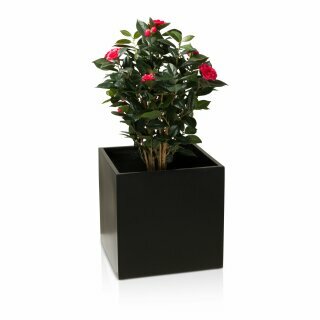 Use our robust and frost-proof plant pots to set creative accents and put an emphasis the design of your garden or patio. 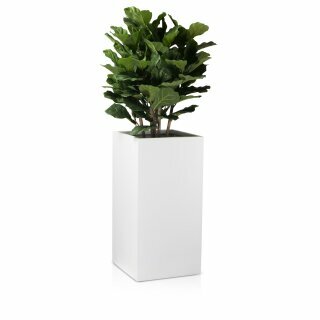 Planters offer a wonderful opportunity to create a homely atmosphere with plants, both for amateur gardeners and balcony owners. On a balcony, plants cannot be planted directly into the ground, which makes the use of plant pots inevitable. 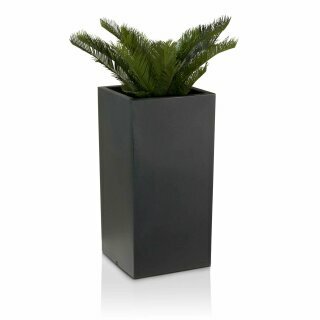 Planters are available in many colours, shapes and materials - to suit every style and taste. 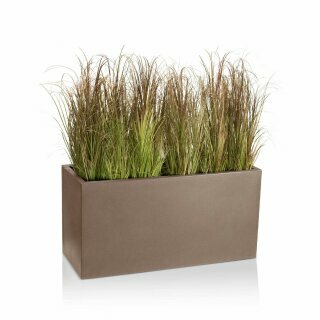 As planters can be used both in outdoor and indoor areas, you should first decide where you are going to put the planter. 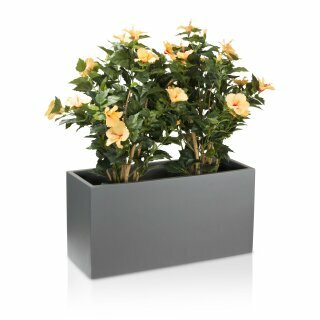 Depending on its use, fibreglass, stainless steel, plastic and other planters offer different advantages. 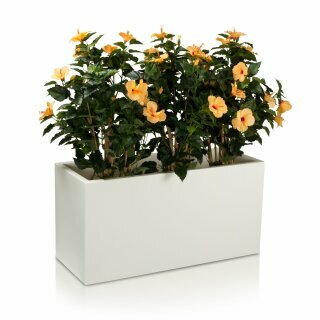 Fibreglass planters are made of a mixture of artificial resin and fibreglass, and sometimes also contain a small amount of stone. The addition of stone ensures a natural appearance, similar to plant pots made of stone or clay. 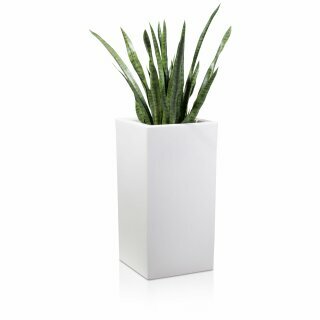 Another advantage of fibreglass plant pots is that they are relatively lightweight. 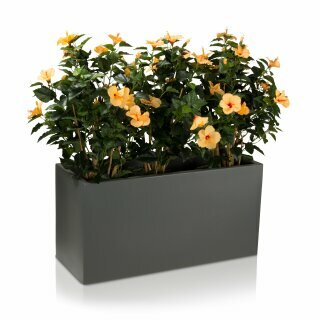 If fibreglass planters are being used indoors, they can either be planted directly or using an inner container. When being used outdoors, you should drill a hole in the bottom of the planter to ensure that rainwater can drain away. 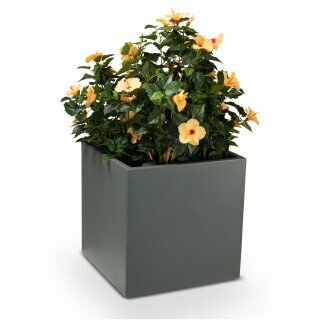 Fibreglass plant pots are available in many different colours and shapes, and are characterised by their extremely hard, frost- and winter-proof surfaces. 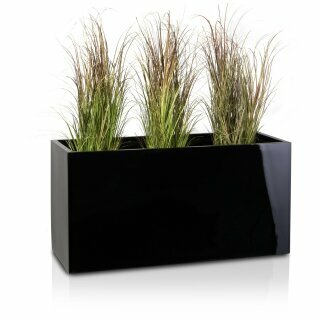 Stainless steel planters look particularly refined and exclusive. 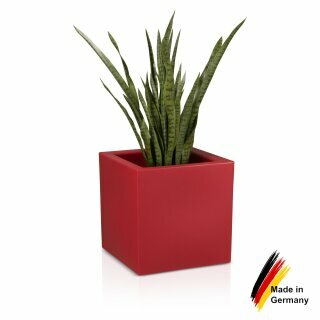 A bright-coloured plant in conjunction with a funky, elegant stainless steel plant pot is a real eye-catcher in any entrance area. 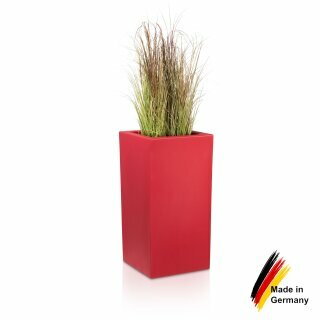 Planters made of stainless steel are equally suited to indoor or outdoor use. Thanks to the material?s resistance to rust, these planters make a good impression in your entrance area at any time of year. Plant pots made from water hyacinth are characterised by their natural and yet elegant appearance. They are hand-crafted and made from sustainable raw materials. Water hyacinth is a very fast growing plant mainly used to produce basketware. Water hyacinth flower pots are lightweight and can be used to decorate indoor spaces, balconies and patios. Our shop provides a wide selection of water hyacinth planters. 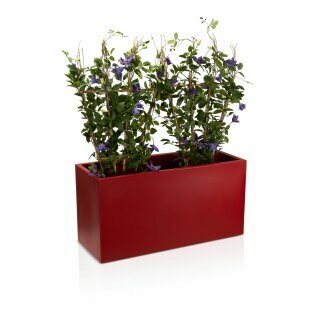 In principle, plastic planters can be made in two different ways: injection moulding or through a rotating process. The rotation method is much more laborious, but offers an alternative to smooth fibreglass planters by producing rough and natural-looking surfaces. And of course, plastic as a raw material for making plant pots offers almost limitless colour variations. However, it should be taken into account that UV-resistant plastic pellets must be used when making plastic plant pots to prevent discoloration. The latest highlight in our product range is our selection of illuminated LED planters made of weatherproof plastic. 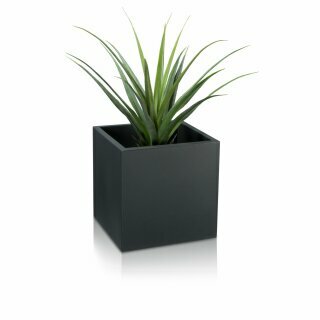 Planters of all materials have one thing in common: they are available in a range of qualities. Differences in quality can be seen in e.g. material thickness, processing methods, UV resistance and type of paint. We rely fundamentally on high-quality standards in all areas, and want our customers to enjoy our planters now, and in the long term. The difference between a fibreglass planter and a fibreclay planter lies in the composition of the material used for production. 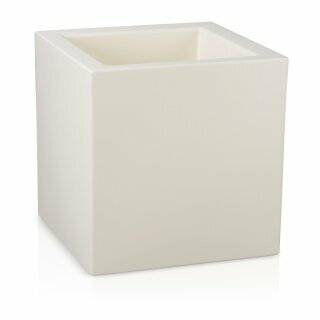 A fibreclay planter is made out of fibreglass, resin and stone flour. 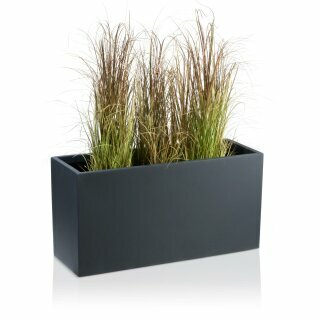 Whereas a fibreglass planter is purely made out of fibreglass and resin ? which makes the planter far more robust und stable. 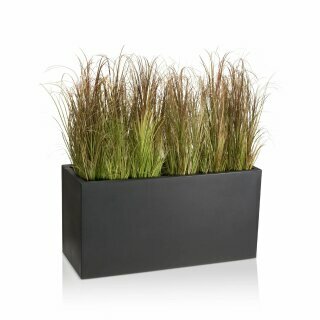 A fibreclay planter can easily be damaged during transport and is in general not very shock-resistant. 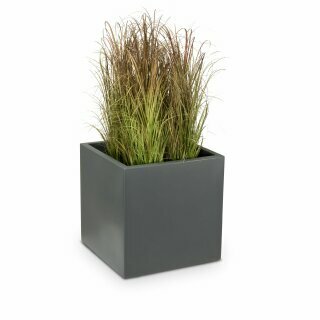 Therefore we only sell planters and plant troughs made out of fibreglass and resin as fibreclay plant pots do not meet our high-quality criteria.